Gideon Coe presents a Scott Walker special ahead of the Songs of Scott Walker event at the 2017 Proms. This Late Night Prom tribute will celebrate the works of 1960s pop icon turned 21st century avant garde, Scott Walker, performed for the first time with live orchestral backing. 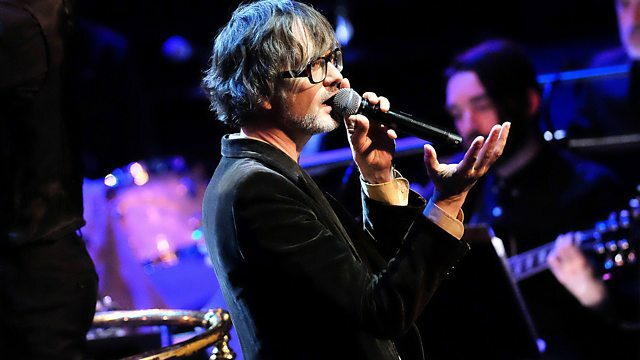 Among the special guests are musician and 6 Music presenter Jarvis Cocker, singer-songwriter John Grant, vocalist Susanne Sundfør and guitarist/vocalist Richard Hawley. They will join the Heritage Orchestra on stage under pioneering conductor Jules Buckley in a celebration of Walker's music from 1967 to 1970. The show will include works such as Copenhagen and It's Raining Today. Richard Hawley says: "Singing a song of Scott's in the shower is major joy.... well for me anyway... but to be asked to sing a few on a stage like the Royal Albert Hall is a thing of wonder, I hope I do Scott's genius credit." Susanne Sundfør says: "As a life-long fan of Scott Walker, I'm very honoured to be performing some of his music at the BBC Proms in July. I'm incredibly excited to share his enduring talent alongside John Grant, Jarvis Cocker and Richard Hawley, and to be able to take part in such an iconic event in British culture.". Looking at the life & career of the music icon featured in The Songs of Scott Walker Prom. If You Could Hear Me Now. The Childhood Of A Leader Original Soundtrack.